Cowboys vs. Lions, Steelers vs. Ravens, Colts vs. Bengals and Panthers vs. Cardinals mark the games this weekend when the NFL Wildcard games kick off Saturday and Sunday. Financial Firebird's CheapTicketsForFootballGames.com and TicketsCheapest.com sites maintain a large supply of NFL Playoff Tickets even when sold out at the box office, at a discount compared to other resale sites. Last Minute NFL Wildcard Playoff Tickets Cheaper Than At Other Resale Sites For All Games This Weekend And Through The Superbowl. NFL playoff games from the wildcard round means some players going home and some fans are staying home because they can't buy tickets for their team's run to the Superbowl. 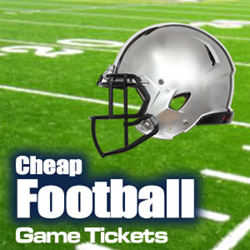 Luckily, CheapTickestsForFootbalGames.com and TicketsCheapest.com offer seats for every NFL playoff game including the relatively cheap sections to premium seats. While these tickets may not count as cheap on an absolute basis, prices provide lower totals for ticket costs and fees than 25 competitive sites in the resale market, including Stubhub, in an exact seat showdown. While today's games quickly approach, fans still have time to buy tickets. Many of these NFL tickets may be purchased with an instant E-Ticket option, meaning a paper ticket for the football game may be printed right from the computer of the purchaser immediately after the easy online sales transaction. 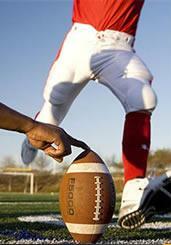 The printed tickets and computer systems at the stadiums, like AT&amp;T Stadium or Bank Of America Stadium, make using the tickets printed at home as easy as standard tickets from the box office. With the 125% ticket guarantee of authenticity and guaranteed admission to the game fans need not be concerned with nervousness about validity of an E-ticket if they may never have used one. Buying tickets on the street before a show has become a gamble inviting fraud resulting in both losing money and not seeing the game, play it safe and buy last minute tickets from a trusted source owned by company with a long standing excellent history with the BBB. Just because many tickets for good seats at sold out games cost a fair amount of money, it does not mean that one needs to overpay needless extra cash in addition. TicketsCheapest.com provides a site where people usually find the best prices for sold out tickets and premium seats. Sometimes inventory varies and it's best to check multiple sites, but Tickets Cheapest should always represent a site to review while looking prime tickets, like NFL playoff tickets, because in cases where services offer the exact same seats they will be cheapest. Even where ticket inventory offers less in common, TicketsCheapest.com can provide the lowest cost options. The next few times the need for event tickets to a sold out venue comes up, do a personal price comparison, findings will prove Tickets-Cheapest.com comes out cheaper than Stubhub and Cheaptickets.com most every time too. History indicates savings by using TicketsCheapest.com vs. Stubhub when looking for cheap football game tickets, why not sit in the exact same seats for less and use the extra money for a tailgating feast? Call 855 805 5266 for personal telephone service. The site to buy Cheap Tickets online and its sister sites, including the site to purchase Broadway tickets or tickets for Broadway tours, all geared for the consumers looking for low prices, are affiliated with the Financial Firebird Corporation Travel Group, and stand among the top sites sought by travelers and people who enjoy concerts, pro sports and theater performances. Financial Firebird Corporation, established in 2000 and a proud BBB member, provides unbiased consumer information particularly involving personal unsecured debt or mortgages, software and marketing services. These sites for consumers to buy tickets online operate in the resale market and maintain no relationship with the venues or performers. The resale ticket market allows consumers access to popular events once the box office has sold out or to buy premium seats when the venue no longer offers any inventory. Within the group of these secondary market ticket services the Financial Firebird owned ticket sites offer lower prices than competitors. Find the site at TicketsCheapest.com.